SAN FRANCISCO Yahoo has been struggling for years to keep people coming back to its digital services such as email. That challenge just got more daunting after hackers stole sensitive information from at least 500 million accounts. The startling breach disclosed Thursday is believed to be the largest to hit a single email provider. The security breakdown risks magnifying Yahoo’s preexisting problems – specifically, that it is losing users, traffic and the advertising revenue that follows both, to rivals such as Google and Facebook. Some snarky online commentators quipped that the hack would have been far more devastating if people actually still used the company’s services. While there’s some truth to that observation, millions around the world still rely on Yahoo mail and other services, and are now potentially at risk of identity theft or worse. And if these people give up on Yahoo as a result, the consequences for the company itself – now scheduled to become part of Verizon as soon as its $4.8 billion deal closes – could also be dire. “Yahoo may very well be facing an existential crisis,” said Corey Williams, senior director of products and marketing at the computer security firm Centrify. 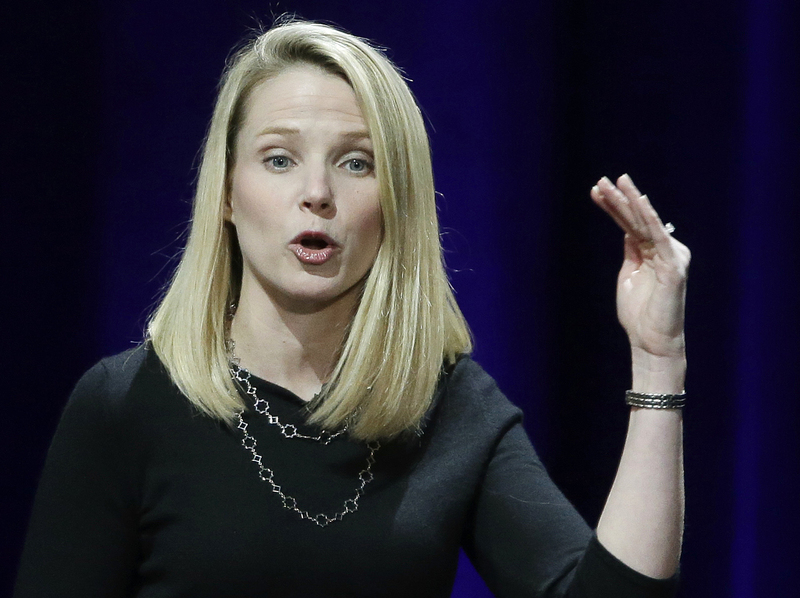 Yahoo was already facing a steep decline in email traffic, despite CEO Marissa Mayer’s efforts to upgrade the service in order to foster more user loyalty. In July, 161 million people worldwide used Yahoo email on personal computers, a 30 percent decline from the same time in 2014, when the breach first occurred. That’s according to the latest data from the research firm comScore. By contrast, Google’s rival Gmail service saw desktop users rise 9 percent to nearly 429 million over the same period. The email breach raises questions about Yahoo’s ability to maintain secure and effective services, particularly since it’s been laying off staff and trimming expenses to counter a steep drop in revenue over the past eight years. Yahoo didn’t explain what took so long to uncover the heist, but CNET’s Dan Ackerman says the lapse is not unusual. Yahoo blamed the hack on a “state-sponsored actor” – meaning a hacker working on behalf of a foreign government. The Sunnyvale, California, company declined to explain how it reached its conclusions about the attack for security reasons, but said it is working with the FBI and other law enforcement. Yahoo began investigating a possible breach in July, around the time the tech site Motherboard reported that a hacker who uses the name “Peace” was trying to sell account information belonging to 200 million Yahoo users. Yahoo didn’t find evidence of that reported hack, but additional digging later uncovered a far larger, allegedly state-sponsored attack. “We take these types of breaches very seriously and will determine how this occurred and who is responsible,” the FBI said in a Thursday statement. Yahoo says it has more than 1 billion monthly users, although it hasn’t disclosed how many of those people have email accounts. The data stolen from Yahoo includes users’ names, email addresses, telephone numbers, birth dates, scrambled passwords, and the security questions – and answers – used to verify an accountholder’s identity. The company said the attacker didn’t get any information about its users’ bank accounts or credit and debit cards. Yahoo also is recommending that all users change their passwords if they haven’t done so since 2014. If the same password is used to access other sites, it should be changed too, as should any security questions similar to those used on Yahoo. News of the security lapse could cause some people to have second thoughts about relying on Yahoo’s services, raising a prickly issue for the company as it tries to sell its digital operations to Verizon​.